Analyst says New Zealand airline is faced with a choice -- either tip more money in or get out now. Air New Zealand is set to bail out of its 26 per cent stake in Virgin Australia just over a week after agreeing to lend it close to $150 million and after years of spending close to half a billion dollars building up its holding. At Virgin's current share price Air New Zealand faces a loss on its investment but selling down its stake is seen by analysts as being positive for the Kiwi carrier. Although the airline is understood to be concerned about the scale of its commitment to Virgin relative to its own size, it is not seen as a desperate vendor and there are other large airline shareholders which could be potential buyers. One analyst said the New Zealand airline was faced with a choice -- either tip more money into Virgin or get out now. In an announcement which surprised the market, Air New Zealand said it was exploring options which could include a possible sale of all, or part, of its shareholding. "Air New Zealand does not want a large minority equity position in Virgin Australia as it focuses on its own growth opportunities," said chairman Tony Carter. 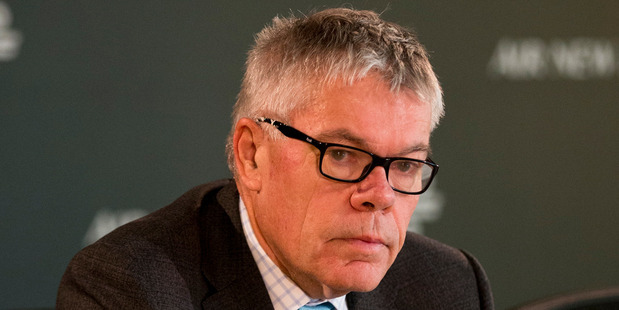 Air New Zealand chief executive Christopher Luxon will quit Virgin's board immediately. Andy Bowley, head of research at Forsyth Barr, said: "You either put more money in the pot which is increasing your investment and therefore your risk or you walk away." Air New Zealand had to weigh up the choice of owning an equity stake in Virgin versus the financial reality. While Virgin's financial performance had improved in the past year, it was still heavily indebted and the loan -- which was part of a $476 million loan announced last week -- was to help repair its balance sheet. First NZ Capital and Credit Suisse are advising Air New Zealand on options for its Virgin holding. Air New Zealand shares closed up 1c at $2.86. In its announcement yesterday, Air New Zealand said Virgin Australia has undertaken a successful transformation programme. However, early last year Luxon had expressed some frustration at how long it was taking the Australian airline to become profitable. Since doing an alliance deal in 2010, Air New Zealand gradually built up its stake in Virgin which was seen as a way of exerting greater control over the airline which was seen as important in regaining a presence in the Australian domestic market after its disastrous Ansett foray and helping both airlines rationalise their transtasman operations. Air New Zealand has spent around $480 million building up its stake of 914 million shares in Virgin. Before Virgin entered a trading halt yesterday Air New Zealand's stake was worth $381 million, according to Deutsche Bank analysis which said a divestment would be positive for Air New Zealand. "Notwithstanding value already lost, we view the potential sale as a positive given the quantum of capital released to Air (NZ) and the lack of visibility regarding future returns from the shareholding. While Virgin has made progress in recent times, there have been no dividends paid to Air NZ and there is a chance Virgin will require more capital in the future." Air New Zealand could use the capital in its own operations, or to degear the balance sheet. Etihad Airways is Virgin Australia's second biggest shareholder with a 24 per cent stake. Singapore Airlines holds the third biggest stake, at 15.6 per cent, while Virgin Group has a 10 per cent shareholding. 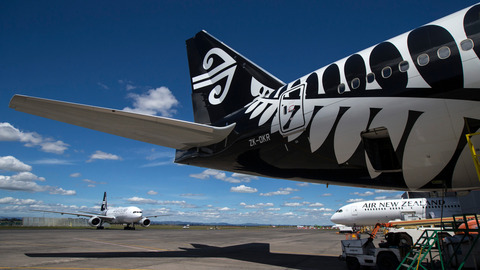 The two airlines are seen as potential buyers of the Air New Zealand stake although ownership rules in Australia could trigger a full takeover.